Rolled, Roasted Pork Belly. Front View. Royalty Free Stok Fotoğraf, Resimler, Görseller Ve Stok Fotoğrafçılık. Image 80153430. 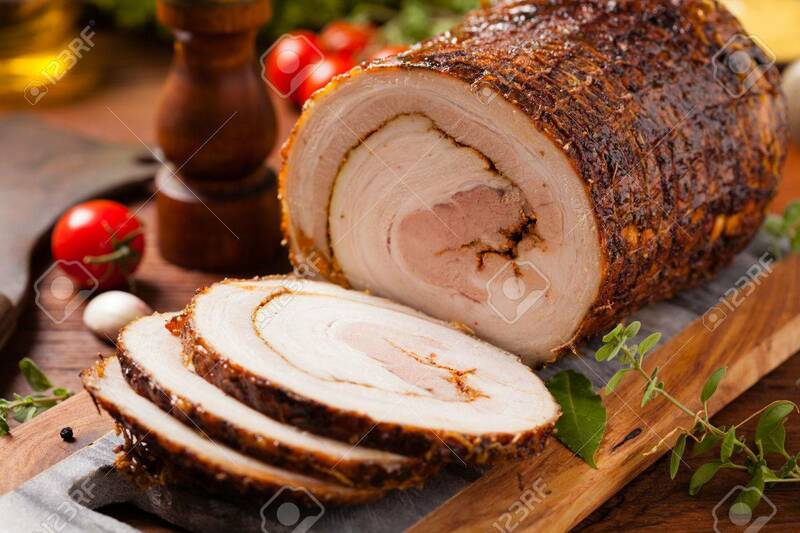 Stok Fotoğraf - Rolled, roasted pork belly. Front view. Rolled, roasted pork belly. Front view.